Planning a trip to the oldest city in the nation and wondering what to do? There are plenty of St. Augustine attractions you'll want to check out, at least online to come up with your master list of must-sees. Be prepared for information overload. First and foremost, when you stay at our St. Augustine bed and breakfast, you'll have these and more at your fingertips. 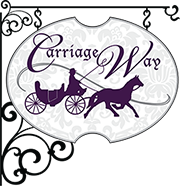 Carriage Way hopes you choose us to be your launching pad -we'd love to have you. St. Augustine Wild Reserve – Take a tour of this seven acre animal compound with an experienced wildlife professional. Learn about and see up close the exotic animals, including lions, tigers, wolves, macaws, and more. Minimum donations are requested, and appointments are necessary. Castillo de San Marcos – The construction by the Spanish on St. Augustine Castillo de San Marcos began in 1672, making it the oldest masonry fort in the continental U.S. You don't have to be a history buff to appreciate its structure, not to mention, it has a beautiful view of the bay. St. Augustine Lighthouse & Museum – Part of a mission to "preserve, present, interpret, and keep alive... the nation's oldest port," this working lighthouse and museum are what St. Augustine is all about. You could easily spend an entire day here and still want to learn more. St. Augustine Alligator Farm – Which sounds the most exciting, viewing a feeding demonstration, buying food to feed a smaller alligator, or petting one? Who needs to decide when you can do it all right here. The park also has birds, monkeys, and a few other exotic animals. A Ghostly Experience – St. Augustine is known for its history, but what if some of the people from it are still here? Take a ghost tour that lasts abut 90 minutes and includes strange and unusual stories, cemeteries, and haunts you won't soon forget. Things to do in St. Augustine FL definitely don't end here. We enjoy pointing our guests in the right direction and will do our best to see to it that you have a memorable time. Not only will we be your bed and breakfast, we'll be your ticket to St. Augustine attractions.